Pedestrian fatalities in Calgary have risen in recent years with 3,834 pedestrians involved collisions and 95 fatalities. Canadian car insurance company SAAQ decided to raise awareness of these dangers and demonstrate how the fragile human skeleton is no match for a car. 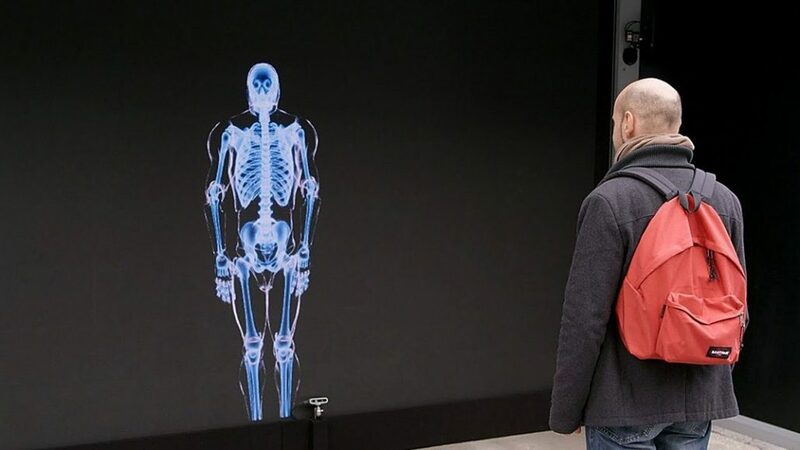 A digital billboard was installed in a bus stop which displays a skeleton body double of the passer-by. Everyone is enjoying playing along with screen, until they are met with a shocking surprise, of their body-double being hit by a car, highlighting the dangers of not taking care when crossing roads.